So you've reached this page because you're not happy with your current Wordpress site. Maybe you are looking for more knowledgeable support or maybe your website has just outgrown what Wordpress can provide or maybe you're just sick to death of your website being hacked. Enter Drupal. Drupal is an open source framework that allows us to build very robust, user friendly and flexible websites that grow with your business. 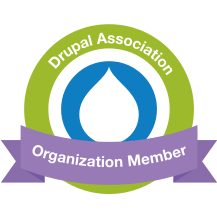 We can migrate your Wordpress content into Drupal for you. If you're thinking of moving from Wordpress to Drupal, contact us today and we'd be happy to talk to you about what's involved in making it happen.